Keysight Technologies, Inc. on October 7, 2016, announced at European Microwave Week 2016, ExCel Exhibition Centre, Booth E2, an industry-leading breakthrough in spectrum and signal analysis at millimeter-wave frequencies. The Keysight N9041B UXA X-Series signal analyzer is the first to provide frequency coverage to 110 GHz with a maximum analysis bandwidth of up to 5 GHz. Developing off-the-shelf tools for extremely high frequencies requires Keysight’s proven blend of measurement science and millimeter-wave expertise. The N9041B UXA exemplifies the company’s unique capabilities with attributes such as advanced front-end circuitry that achieves low loss and efficient mixing, providing a displayed average noise level (DANL) as low as –150 dBm/Hz when characterizing wideband modulated signals in the millimeter-wave band. The challenges of designing systems at these frequencies are significant, and this increases the need for integrated tools in design, simulation, measurement and analysis. Keysight software solutions for design and simulation provide an efficient workflow that accelerates development of next-generation devices and systems. These tools were used in the development of the N9041B UXA and enabled first-time-correct designs of its millimeter-wave circuits. Keysight engineers also used the company’s industry-leading millimeter-wave measurement tools, including network analyzers, oscilloscopes, spectrum analyzers, signal generators and associated application software, to fully characterize their devices. 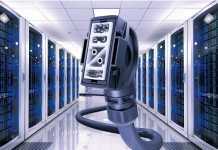 Current applications of these tools include development of 5G wireless communications, millimeter-wave backhaul, satellite communications, automotive radar, military radar and electronic warfare systems. Emerging applications encompass development of devices and systems capable of performing high-resolution materials measurements for manufacturing, pharmaceutical and medical. Keysight’s millimeter-wave solutions will be on display at European Microwave Week, Oct. 4-8. 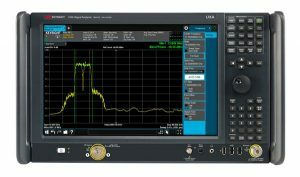 Additional information is available at www.keysight.com/find/millimeter-wave. Images are available at www.keysight.com/find/millimeter-wave_images.